FTS can provide you with a state-of-the-art intrusion detection system to monitor your assets 24 hours per day. We can help you protect facilities ranging from small business offices to the large warehouse with some of the more complex systems on the market today. If you want to locally monitor or prefer that a central station monitor your system for alarms, FTS can assist you. 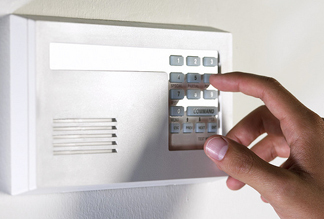 Keypads with built-in proximity readers for easy entry and false alarm reduction due to "Forgotten Pin Codes"